Turkey is one of the most popular destinations in Europe and its easy to see why. This country is the crossroads of East and West has been a melting pot of great civilizations for thousands of years. If you would like to travel, go backpacking or volunteer in Turkey search amazing trips and activities today. Find ideas & inspiration for the best things to do if you would like to travel, go backpacking or take a gap year in Turkey. Travel to Turkey with One World 365 and search our amazing activities and trips perfect if you would like to go backpacking, take a gap year or volunteer in Turkey. View travel advice on our guide including tips for places to go, the best packages available and get information about costs, accommodation, transport, health and safety and how to visit Turkey on a budget. Winter generally runs from December, January, February and March which are the coldest months to visit. Here you can get flights and holidays at really cheap prices but don't expect to go swimming in the sea. The hottest months of the year are June, July, August and September where there is an average temperature of around 25 degree. At peak times it can go over 30 degrees so try to head to the Coast or get a hotel with a swimming pool during this time. May and October are also good times to visit Turkey especially if you are travelling with children, these two months are warm but not unbearably hot. While you are preparing for a visit to the mystical land of culture and history, you would need some preparations including getting a visa which is the most important thing to get before you land in Turkey. If you are worried about the visa process, then an easy option is to get it done online. 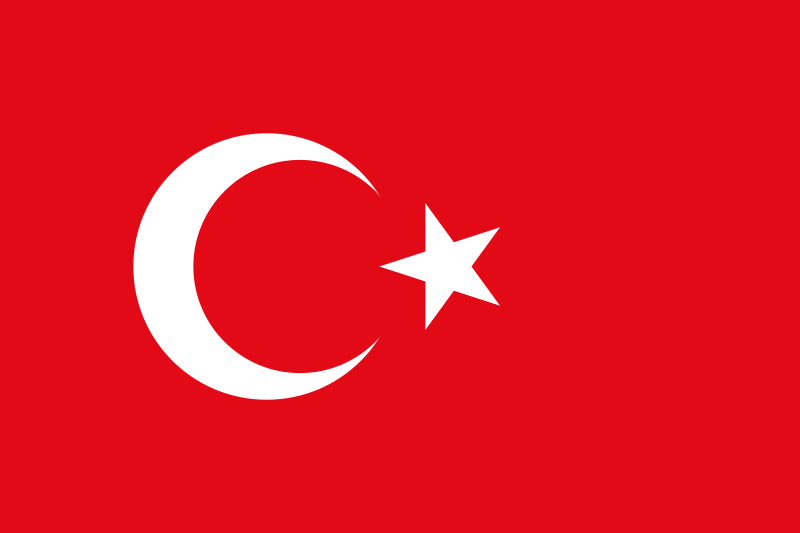 The visa for Turkey is provided by the Turkish Government and the rules and the norms would change according to the country you are coming from. Turkey, the land with rich history, scenic beaches, colorful markets places, ruins and heritage is a blend of historical culture and modernization. 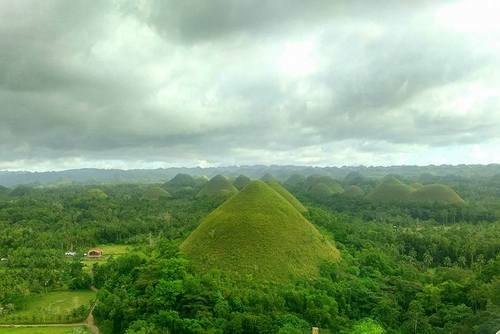 This perfect mixture makes this land even more mesmerizing and surreal. Walking down the streets of Turkey will make you feel like you are paving the same paths as men from thousands of years ago did. Yet you can see the natives using the latest gadgets and gizmos and maintaining their age old culture in perfect balance. 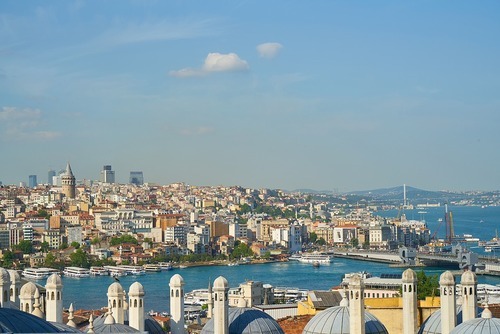 Istanbul which was once known as Constantinople is one of the worlds most fascinating cities, here you will be able to haggle with street sellers and wonder the maze of alleyways. It is advised to exchange money before arriving in Turkey this is to avoid being charge a fee from ATMs. You will find ATM's in most popular travel destinations, the euro and US dollar is accepted in some places. If you need any emergency help or assistance in Turkey you can call: Medical: 112 Police: 155 Fire: 110. Haggle for everything in markets you will be charged more as a tourist but there is room to get discounts. It is generally polite to leave a tip (usually 10%) in restaurants and some other places. Please remember Turkey is a Muslim country and dress sensibly when out in public. If you are not in an allincusive holiday and would like to save money on food there are los of superamrkets like Metro, Carrefour and Migros Türk. Here you will be able to buy a lot of international goods too. You can get by without any knowledge of Turkish or Arabic is required but it will be an advantage and also friendly if you try to converse. If you are searching for accommodation in Turkey, either year round or for your summer holidays, then you’re in for a treat. 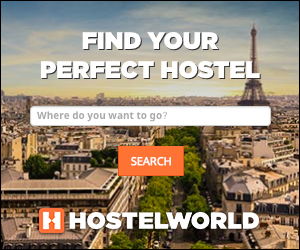 With so many resorts, hotels and hostels to choose from. Depending on the kind of trip you want to enjoy, it can be good to choose an all inclusive resort, as this takes away any stress surrounding meals - and means you can spend your time enjoying all the activities on offer. There are lots of cheap hotels and hostels throughout the country offering you 1-5 star accommodation, all inclusive meals and clean and spacious rooms, as well as excellent pools, a short walk to the main tourist areas and some even have the beach only a few minutes away. Turkey is a facsinating country to visit on a small group holiday, you can enjoy ancient cities like Istanbulm, taste delicious food like local kebabs and enjoy the warmt of the local population. We have activity, cultural and adventure trips and tours in Turkey for solo travellers, couples, groups and families. Turkey is one of the top tourist destinations during summer and there are endless excursions and places of historic and cultural interest to visit, as well as water sports, hiking and more. 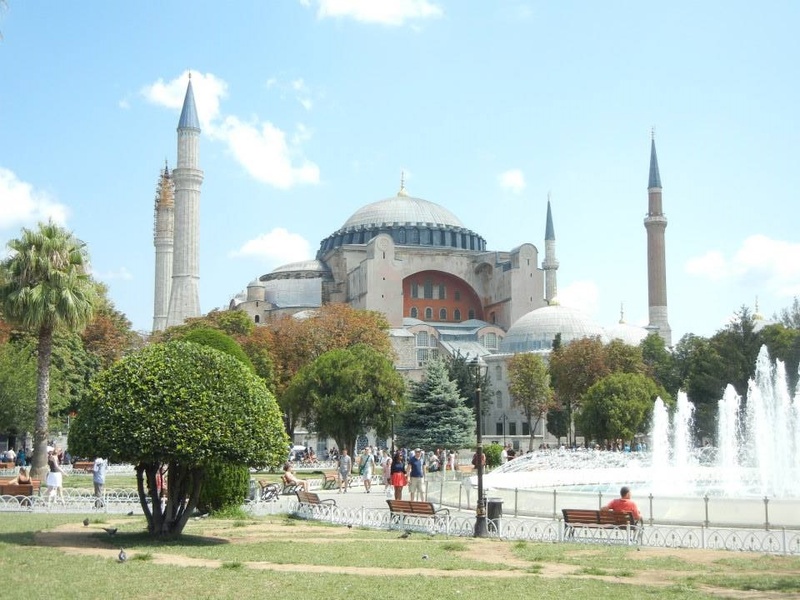 You can find tours in Turkey and explore this diverse and spectacular country. We list international and local tour operators in Turkey who offer tailor made trips, small group tours, city tours, overland adventures, Anzac tours, sailing trips and also family tours. There are options for all budgets and most trips can be joined all year round. You will get a really authentic experience and get to travel like a local. There is the option to book all year round and discover more about the history and culture of Turkey with an experienced guide. We have a selection of small group tours where you will travel with a guide and group exploring the highlights of the country. If you’d rather stick close to the sensible path there are plenty of activities to do during trips including exploring hills covered in pine forests, finding amazing routes to hike or even exploring on horseback. And for those who are after a more adrenaline fuelled rush then there are plenty of off road quad safaris and white water rafting excursions. Although spending all of your time sunbathing interpsersed with the odd dip in the pool can be tempting, if you’re going away for a decent amount of time you’ll want to join an overland adventure where you will visit new places and try new experiences. 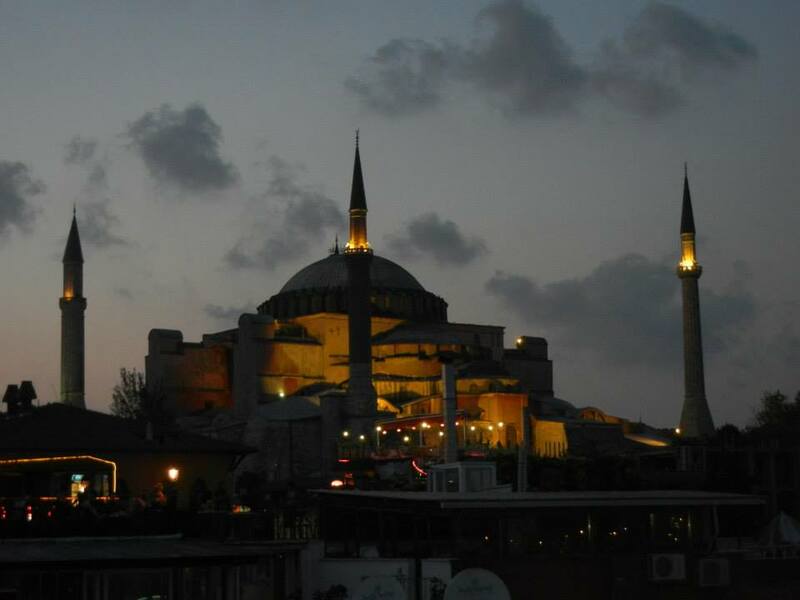 Most trips start in Istanbul which is a vibrant city, but there is a lot more to this country too. 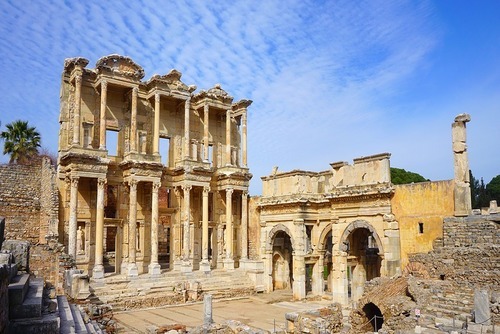 If you’re after a bit of culture and want to soak up some ancient history, you can go and visit the impressive and awe inspiring ruined city of Ephesus and Pamaukkale. If you’re after something that still has some Turkish hospitality and culture of today, then you could join a tour which visits Akyaka to have a look at some real village life amid stunningly beautiful scenery. Sailing tours along the gorgeous coastline is a really good way to explore and there are lots of boat trips and cruises available, including various options with food onboard. You can have a tasty Turkish barbecue while you take in the sun and sea and stop for swimming along the shoreline. You will get to see the very special Aegean Coast villages. You can even go much further afield by booking onto a hydrofoil to another country - the Greek island of Rhodes is just an hour away from Marmaris by sea (view our selection of tours in Greece). 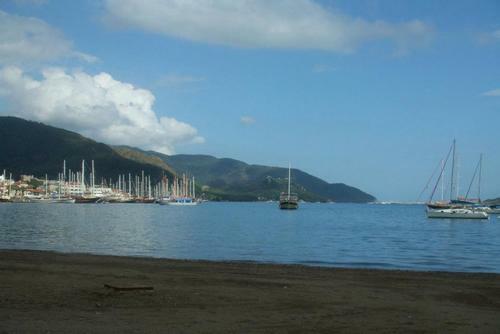 We highly recommend booking a relaxing sailing holiday in the Aegean Sea in South-West Turkey. These are usually small group trips with a maximum number of 8 people per departure so booking in advance is essential to secure your spot. On this trip you will get to have regular stops to go swimming in pristine waters, visit deserted beaches, explore small fishing villages, sample the local food, take in beautiful coastlines and enjoy the adventure of a lifetime. Places you will usually visit include Bodrum,Ova Bükü, Bozukkale, Dirsek/Kocabahce, Datça and Knidos. Visit the spectacular Cappadocia region of Turkey and stay in the little village of Goreme. On Cappadocia tours you will get to eat tasty local food, learn more about the area and explore and go sightseeing with a local guide. You will get to visit the Derinkuyu underground city which is where early Christians settlers escaped persecution from the Roman empire by hiding in an underground cave network. This area is very unique in terms of landscapes and scenery and there will be lots of entertainment in the evenings, you will also get to enjoy a meal with a local family. 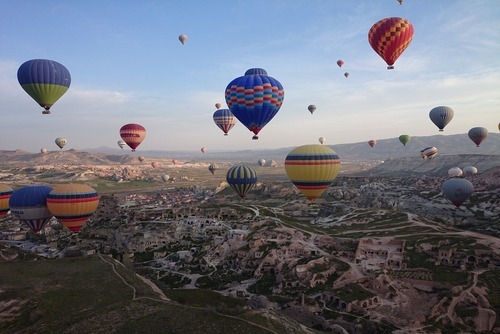 Cappadocia is also famous for balloon rides and you will get amazing pictures and views if you choose to take to the sky for one of the most famous views in the world. You will also get to visit vineyards and local sights on bike and foot whilst also going hiking in the Cappadocia valley. Tour durations are usually around 4 days with start dates all year round. Turkey is a popular destination in Europe, millions of people visit every year where you can experience culture, cuisine and tourist sights. There are so many places you can visit like Istanbul, Gallipoli and Cappadocia and a guarantee of gorgeously hot and sunny weather, it’s a good choice for a unique gap year experience. Interested in volunteering in Europe and experience living in a different culture? Turkey is a huge country and where you go really depends on the organisation and project you join. A lot of conservation initiatives are located in Belek whist there are also projects running in places like Yenisakran, a small town close to the Aegean Sea. Special female empowerment programs helping women into work are run in places like Biga and Istanbul which are very rewarding. Most programs have a focus on community development, Turkey has a huge popular of around 75 million people and a lot of people live in poor living conditions. Some organisations offer placements for people to help improve infrastructure or to work with disable/disadvantaged people. You will usually work 5-6 hours per day 5 days per week but this can very depending on the placement. "This trip has exceeded my expectations. I had so much fun in Turkey spending time with the locals and the foreigners. The locals made being away from home feel natural and pleasant. Over all, this trip has opened my eyes to another world and I’ve learned so much about other people and myself." – Alexander volunteered in Turkey with VFP. Education is free in Turkey and it is mandatory for children to attend primary school but there are some problems with the Turkish education system especially in rural areas. There are schools and daycare centres run by volunteer organisations in urban areas and remote villages throughout the country, you could teach English in Turkey or even help building/construction to improve facilities. Examples of tasks can include painting, decorating and leaving behind a good environment for learning to future attendees. Poor children usually attend these facilities, some have been orphaned or live on the streets - these projects provide help, prospects and assistance to the very needy. Most people in Turkey speak Turkish and Arabic but there is an increasing demand for local people to learn English. Tourism is a huge employer in Turkey and because of this native English speakers are required to help people learn and improve their writing, listening and speaking skills. You could be working at schools or community centres, home-stays are also available where you can live with a local family, eat the food and help them learn English. This is a great way to enjoy the warm local hospitality. There are also summer camps which children attend to learn English, and also have a lot of fun. You will work in teams with local staff and international volunteers creating and running educational and entertaining games. 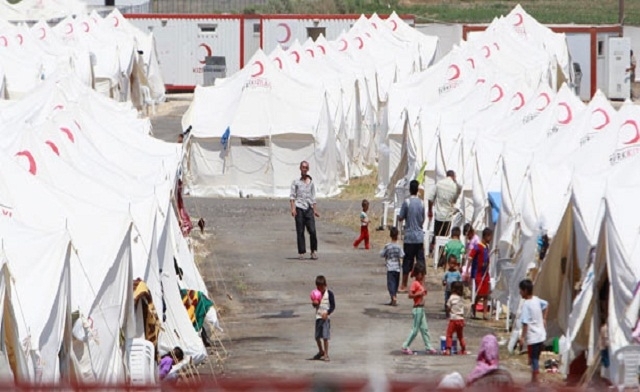 There are currently big efforts to help refugees from the Iraq and Syria turmoil, hundreds of thousands of people from these countries have fled to Turkey in search of more peaceful surroundings. Large international charities are currently working on the ground to help and if you are a skilled professional you can apply to help, you will need to go through an application process or already be directly employed by a recognised org. Just turning up with the willingness to help can actually be a hindrance. Turkey has a spectacular coast and due to increasing tourism and building works there is a need to keep a healthy balance between development and also making sure nature and wildlife are protected. 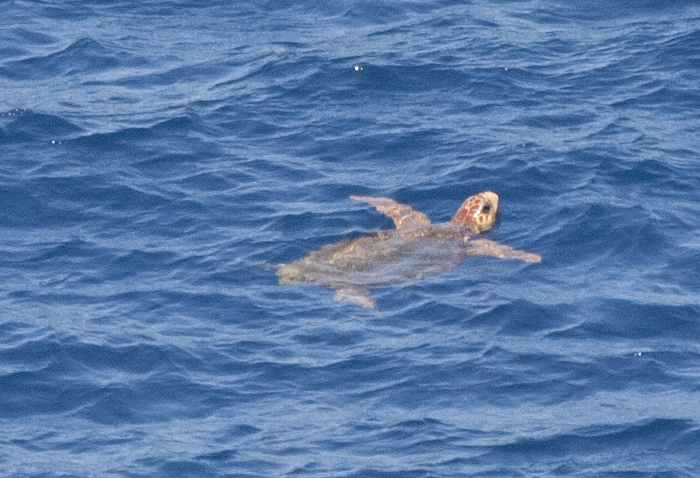 Belek is one place where lots of hotels have been built in the past decade but this is also a popular area for sea turtles to come ashore and lay their eggs. There is a need to help protect the turtles and hatching areas, whilst getting local business involved in conservation efforts. Local organisations have long term aims to create protected areas and create sanctuaries to help baby turtles hatch in a safe environment and they are seeking international assistance. Tasks can include monitoring sea turtle numbers, tagging, coming up with improvements to landscapes, finding nests and helping with educational initiatives. There are also eco farming projects where you will get to help local farmers with agriculture and general farms tasks. Usually accommodation and meals are included for free. Sometimes work and hours can be difficult and remember in summer you might be working in hot and humid conditions. There are free and cheap volunteering programs available to join, you will need to contact local NGO's (search our featured organisations above) but please note you will probably have to pay for flights, transport, accommodation and meals. Finding paid volunteer work in Turkey can be difficult but some organisations offer a weekly allowance to help with living costs. 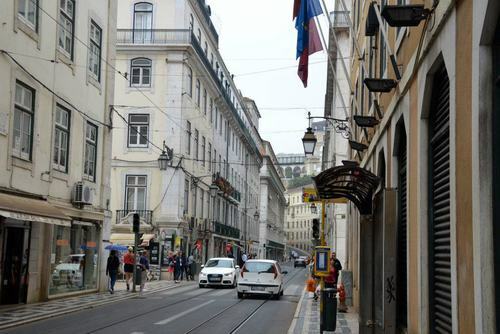 Some hotels and hostels also offer free board in exchange for work, this can be a great way to experience the country and save money towards travels. One such hotel is the Fairy Chimney Inn (www.fairychimney.com) located in Goreme, Cappadocia. They require people to work around four to five hours a day helping with the running of the hotel e.g. managing bookings, speaking to guests and cleaning. If you are looking for an active group program some organisations like Concordia offer very cheap placements where you pay a low sign up fee (see more information above).